Caster sugar is the classic baking sugar, as it's light and fine-grained and perfect for shortbread, sponges and meringues. This organic unrefined caster sugar is the delicious natural alternative to refined white caster sugar with its subtle buttery taste and natural colour. So get baking the natural way and enjoy all the natural goodness packed into this organic golden caster sugar. 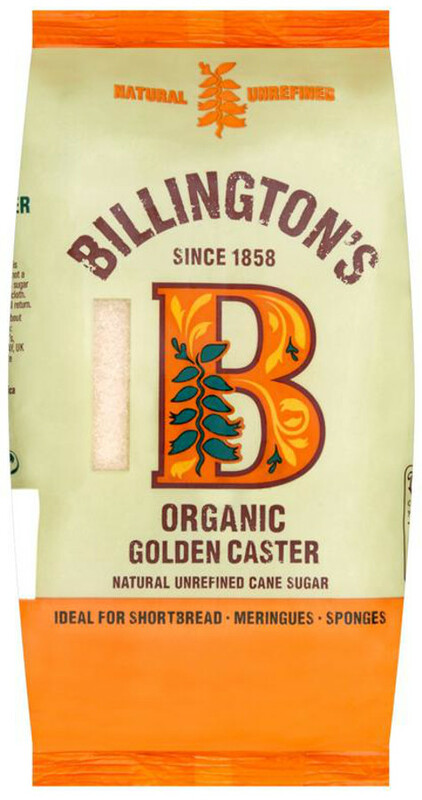 The Billingtons Organic Natural Caster Sugar- 500g product ethics are indicated below. To learn more about these product ethics and to see related products, follow the links below. Nice taste and appreciate it is organic but wish it did not come in a plastic bag. Would prefer more eco friendly packaging for sugar but it is hard to find. Always use this as I am allergic to several brands of shampoo/conditioner. 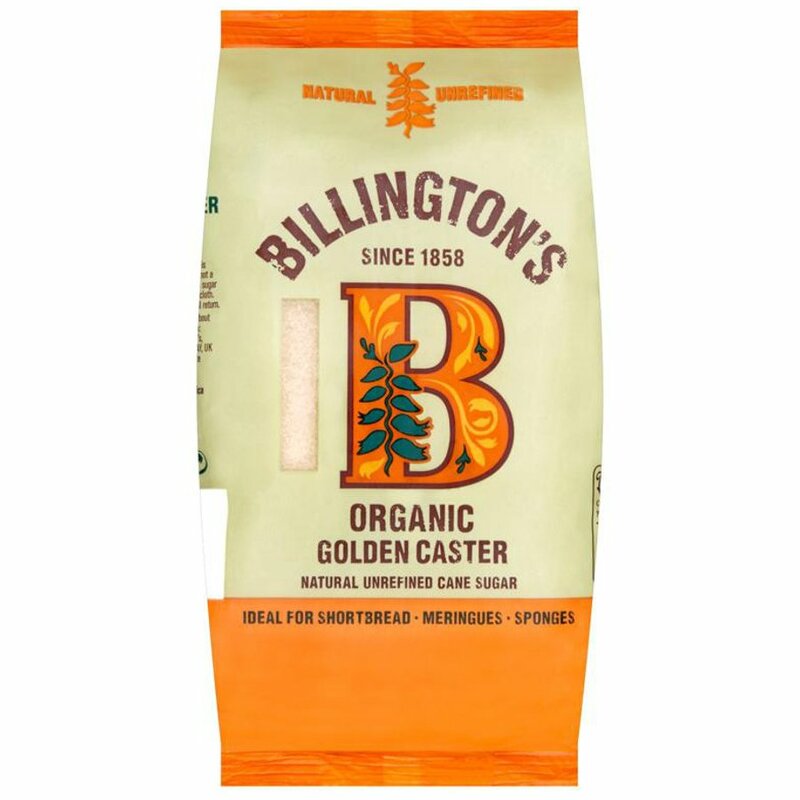 There are currently no questions to display about Billingtons Organic Natural Caster Sugar- 500g.